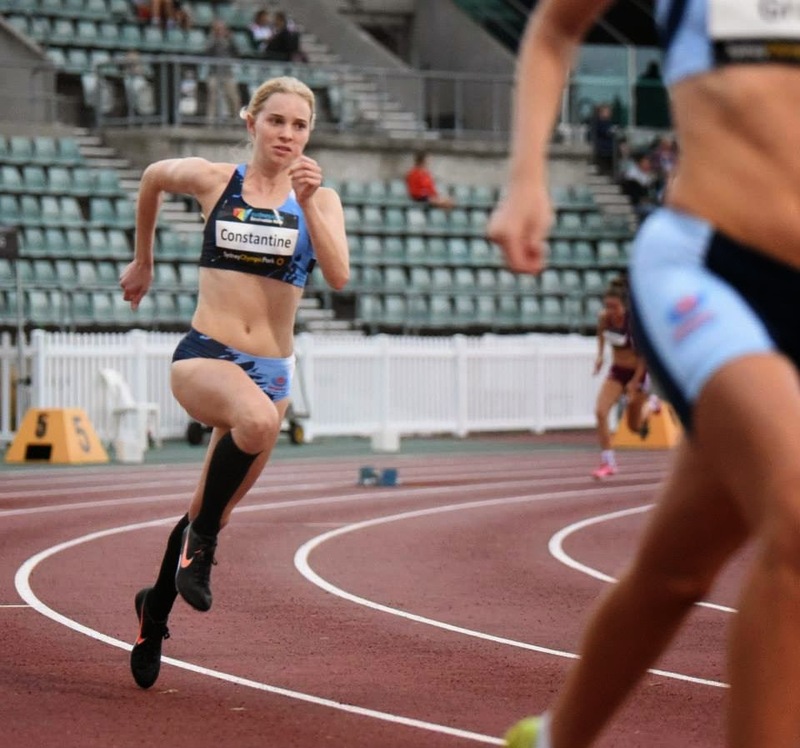 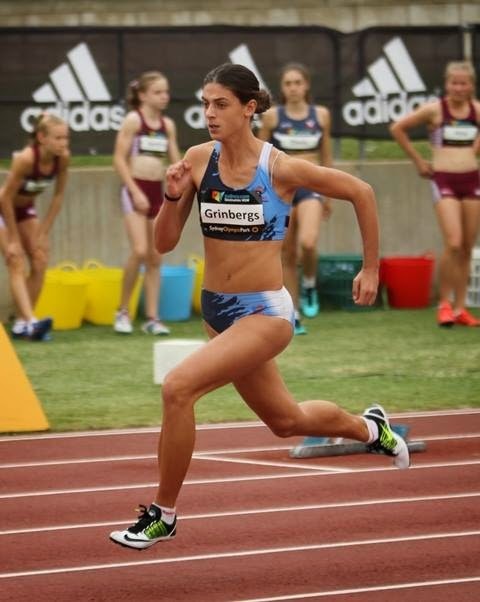 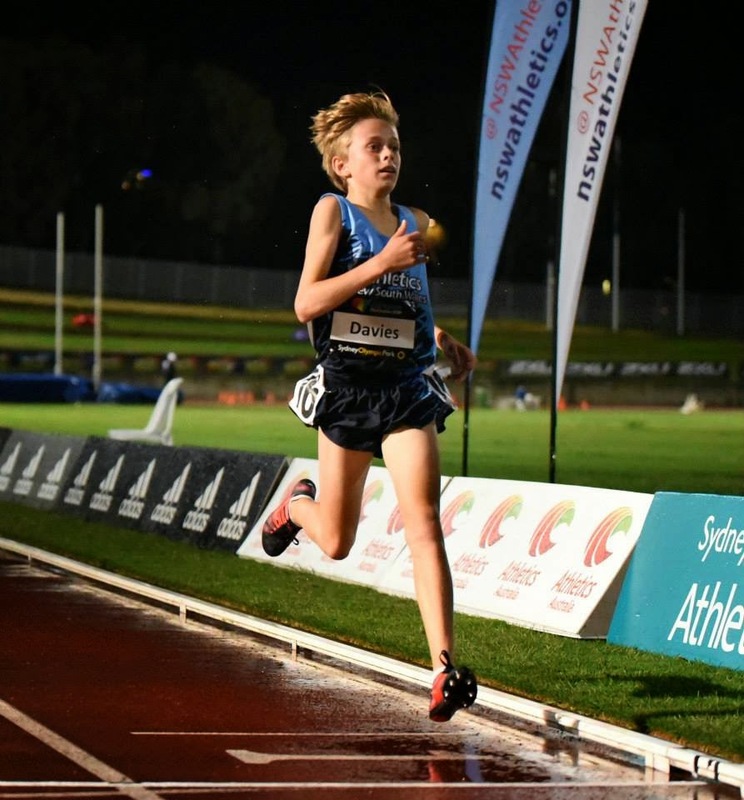 The Australian Junior Championships were held over a 5 day period from 11th to 15th of March. 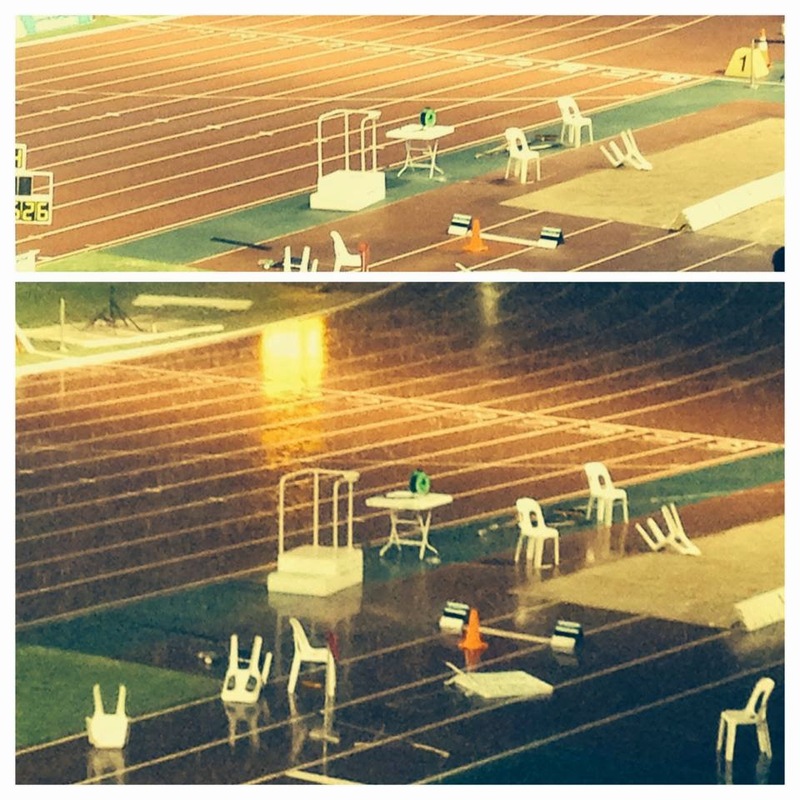 What started off as pretty dreadful weather for our Junior Athletes, turned into a great event all round. 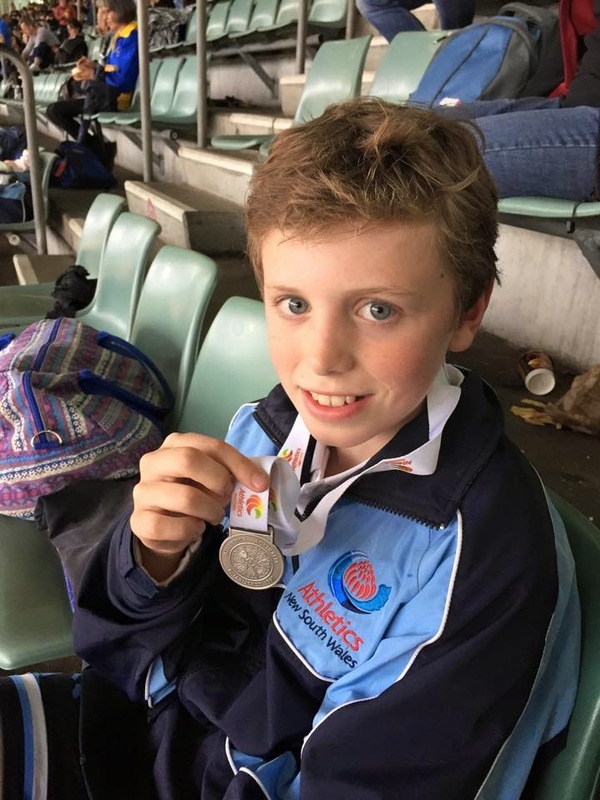 Hayden Blaskett won a silver in the U14 boys 3k walk where his time beat the old meet record. 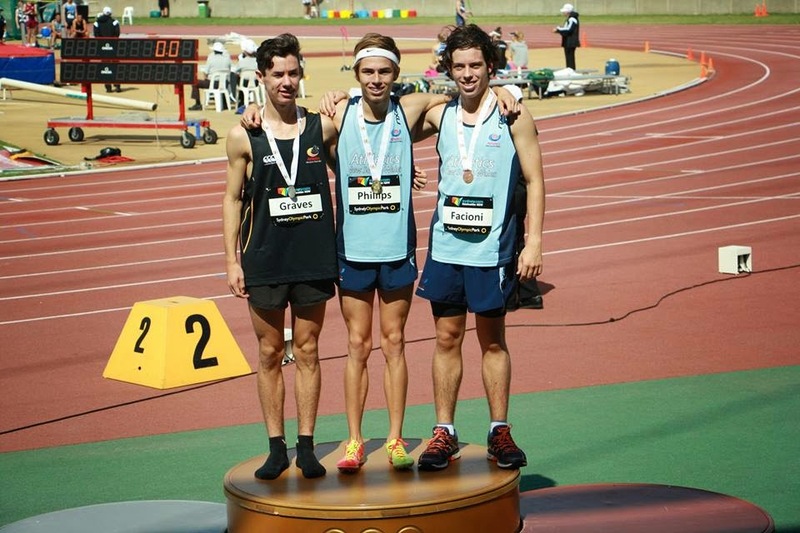 Bryn Lynch ran a great race to take away a bronze in the U16 boys 1500. 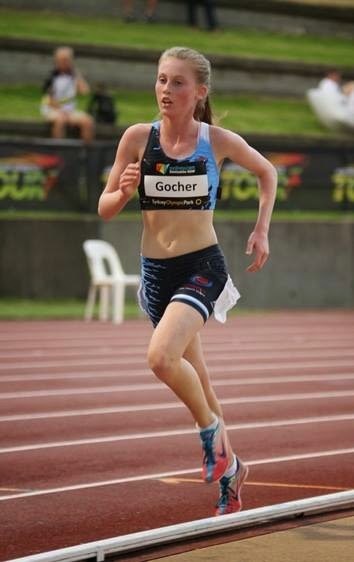 Sophie Wickham 5th in U15 girls 400 final and Sophie Gocher, 15th in U15 girls 3k and 6th in the 2k steeplechase final. 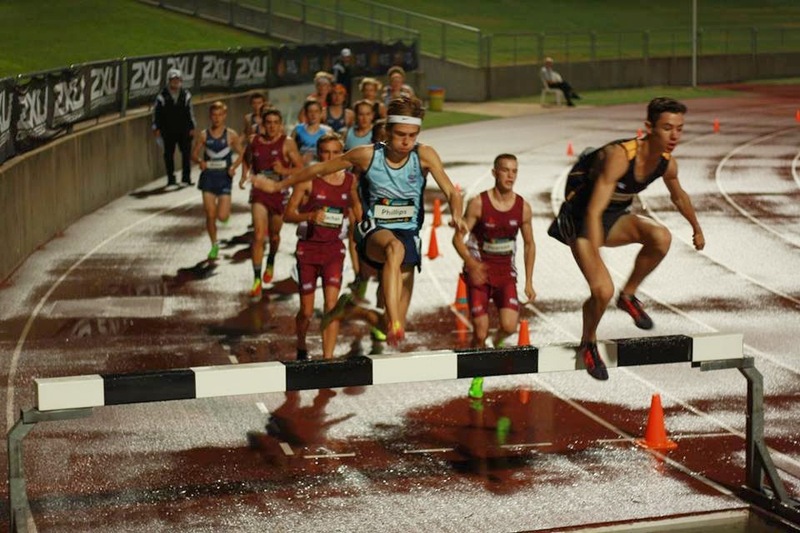 Adam Halmy came 9th in the U20 boys 3k steeplechase final, setting a new club record with a time of 10.24.34. 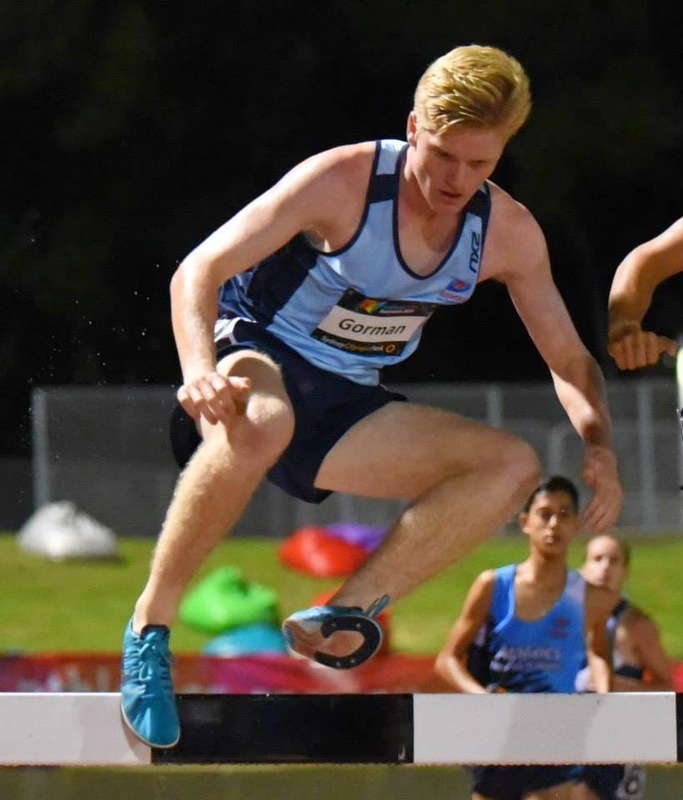 Luke Gorman, ran in 13th in the U18 boys 2k steeplechase final. 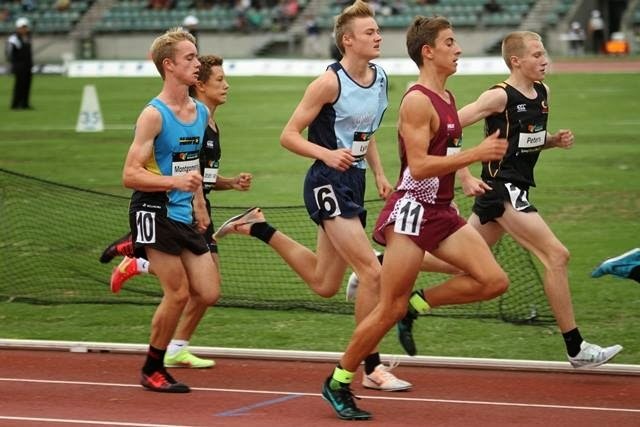 Jack Mills came 5th in the U18 boys 800m final, setting a new 800m club record running 1.57.79 in the heats. 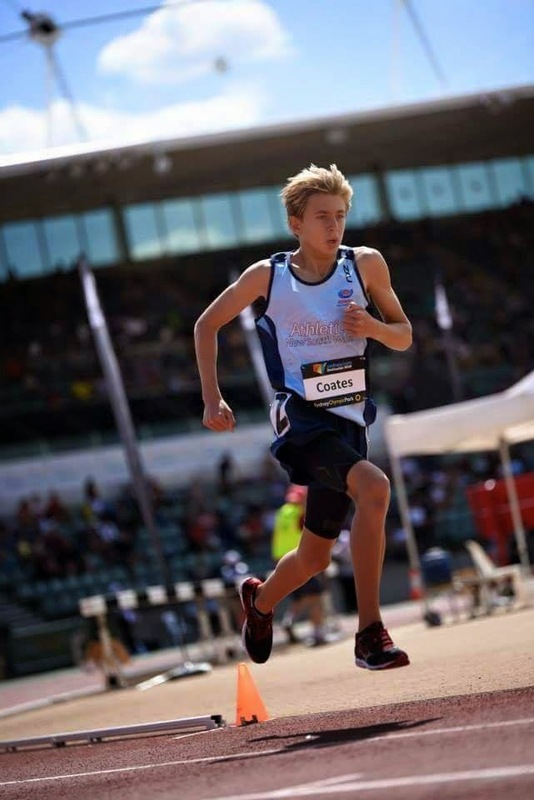 Tom Davies came 11th in the U15 boys 3k final. 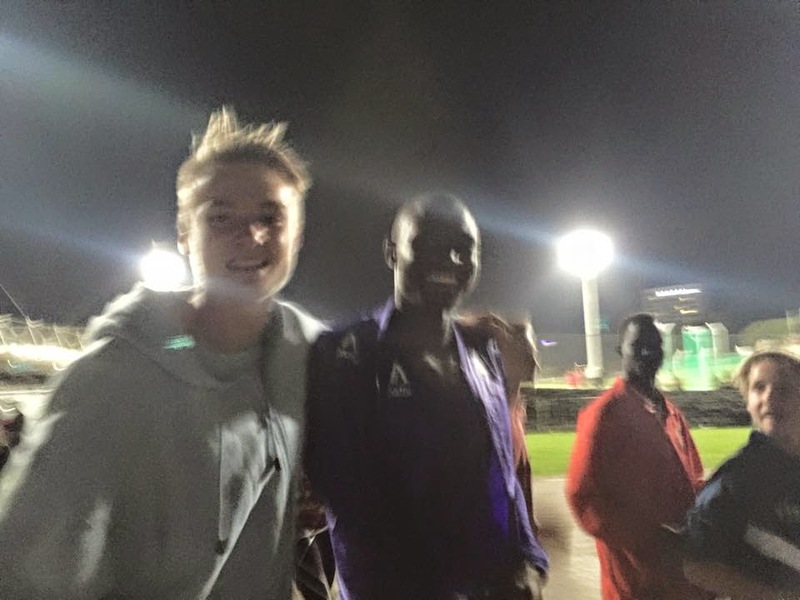 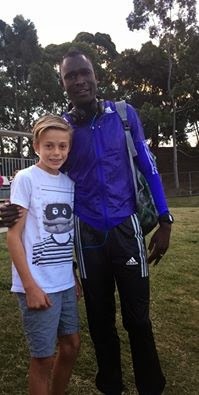 Great result and team spirit from everyone who was at the event, and a highlight no doubt being a couple of photo opps with the hero 'Rudisha'.